Today in this post I will tell you how you can convert any finds online. If you are looking for a something which can let you convert anything but want to download and install any kind software on your computer then you can simply try Online-Convert.com. 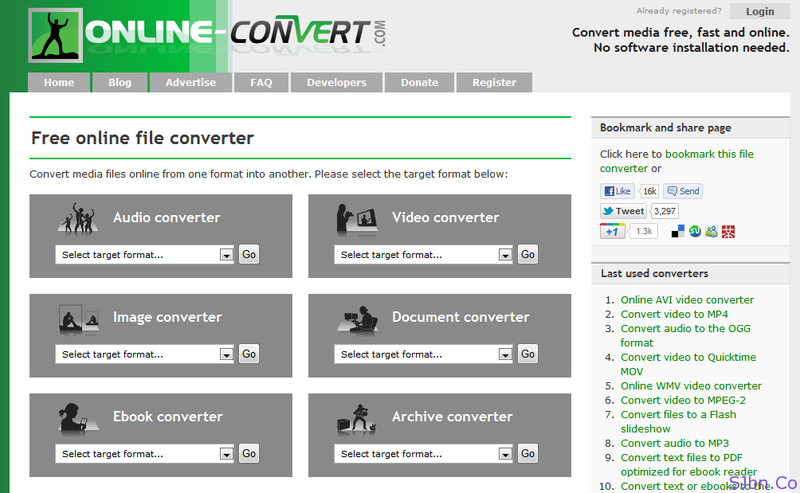 Online-Convert is a free service which lets you convert any files to almost any format you need. You can convert Audio (MP3, WMA, OGG, etc. ), Video (AVI, FLV, WMV, etc. ), Image (JPG, GIF, PNG, etc. ), Document (PPT, Doc, PDF, etc. ), E-Book (HTML, ePub, PDF, etc. ), Archive (Zip, RAR, 7z, etc.) and Hash generator. You will also able to customize the files, for instance if you want to convert WMA file to MP3 then you will also able to change bitrate, frequency, trim (cut) audio from anywhere to anywhere. If you want to convert a video for your mobile device then you can simply select the type of device for which you would like to convert (e.g. : Android, Blackberry, iPad, Nintendo DS, XBOX 360, PSP, etc.) customize settings if you want and convert it. You can upload file size up to 100 MB or can give YouTube or direct file URL. All files that you will upload will be deleted automatically after 24 hours or after 10 downloads, whichever comes first or you can delete it manually after you downloaded your converted file. After file gets converted they also provide QR Code so that you can directly download from your mobile device. Thanks revision3 for the tip.